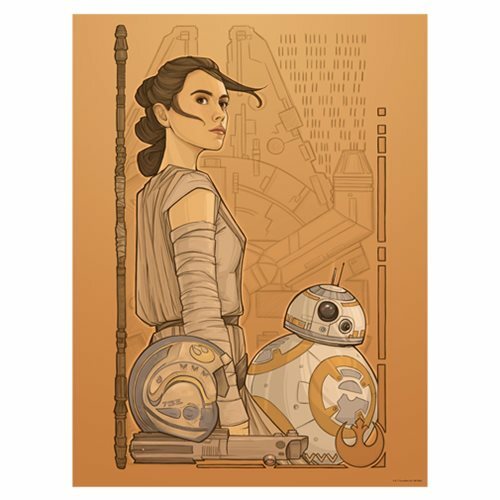 Beyond Jakku, there is this: Inspired by Star Wars: The Force Awakens, the Star Wars TFA Beyond Jakku by Karen Hallion Lithograph Art Print features a unique take on Rey and BB-8. The 24-inch tall x 18-inch wide lithograph is a hand-numbered limited edition of only 250 pieces that includes a certificate of authenticity. Ages 13 and up.